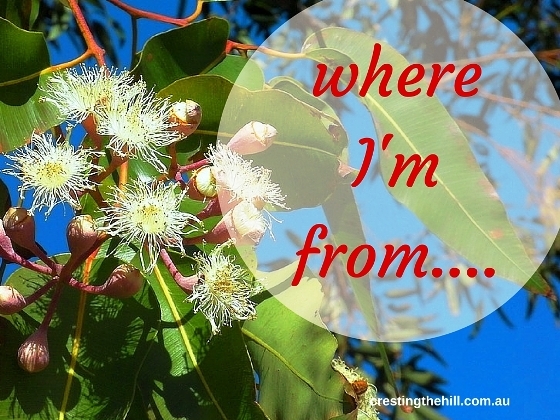 I wrote this post a year or so ago after I read the poem by George Ella Lyon titled "Where I'm From" and then found that it had been used as inspiration for a writing exercise. There was a template presented here that gave me a starting point and I couldn't resist the challenge to try my hand at it too. 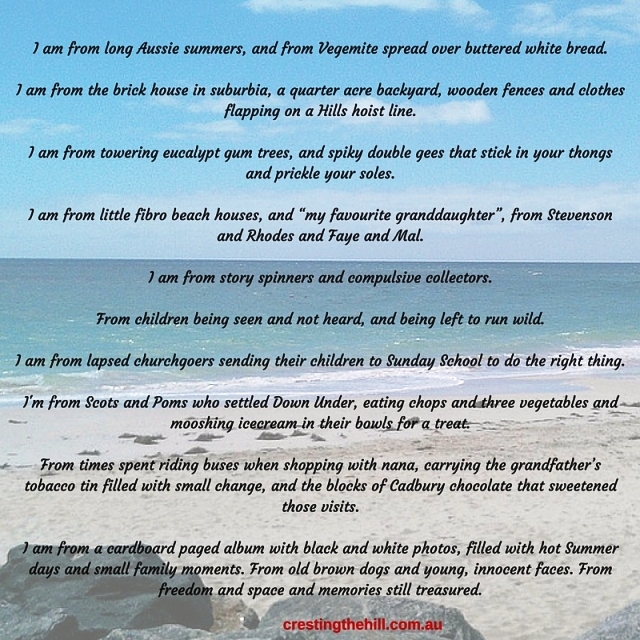 It's Australia Day on January 26th and I thought the poem I wrote reflected life in Australia and what it was like growing up in the sunburnt country Down Under. Family is a strange phenomenon - I was amazed at the little memories that popped up and also the struggle with trying to find the words to say it succinctly. I'd love to read other people's versions of this poem so if you end up trying your hand at an ode to your childhood, please tag me in so I can see how you tackled it. When I first wrote this, a few other bloggers said they saw a lot of similarities in their childhoods - even though they lived on the other side of the world. I guess our big, wide world isn't all that big after all. Oh wow! Yes it almost describes my childhood as well. I love this poem Leanne and it really is relevant being Australia Day tomorrow. It's really about what it was like to grow up in Australia isn't it Kathy? The funny thing is that one of my US blogging buddies (Rena) said she could see a lot of her childhood in it too. This has inspired me to do the same, Leanne! Nice post! Love your poem. Makes me want to visit. Beautiful piece. I've done this before and it's always such a moving and emotional experience. I could feel your life and your childhood through your words. I love this Leanne. I went over and checked it out afterward. I might try it. It looks like a lot of fun. Absolutely love this, Leanne! Lots of differences, but the similarities are astounding. Mostly in the 'feel' of your childhood. I wish that everyone could experience these days! I could picture it all so well! So much of that was my past as well (although I didn't have to go to Sunday school). I think my parents sent us so they could sleep in on Sunday mornings and have some peace and quiet - I don't think it was for the religious benefit - although it would have been a bonus I'm sure. A lot of us can relate to this post. May have to try it myself. Happy Australia Day! 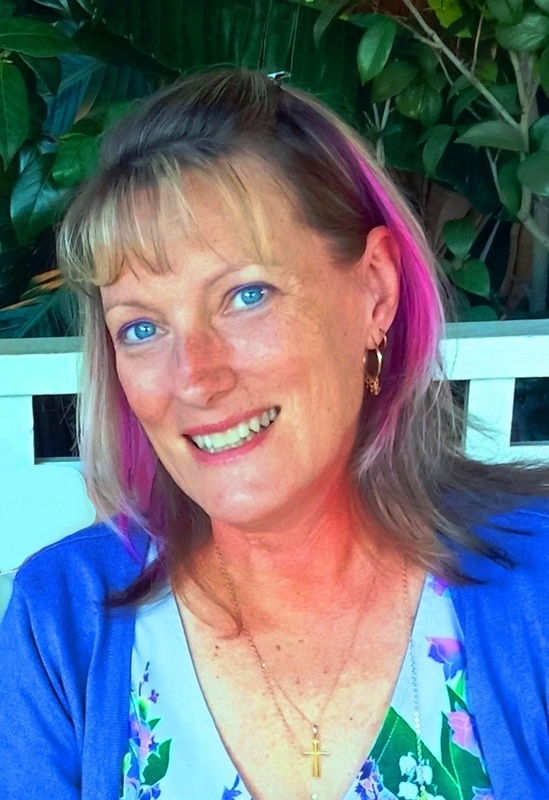 Thank you for sharing this post at the Wednesday AIM Link Party. I shared it on my social media sites. I've tried my hand at a bit of poetry too but this was a lot better because it gave me some guidelines to follow. A nice job Leanne. Very descriptive. I have never tried my hand at poetry, I thing I should leave that to you. It was a bit of a one off for me Kathleen - my previous attempts wouldn't be published anywhere! This is beautiful. Inspires me to think about my past too. Thanks Pamela - it was fun to look back at the little memories rather than the bigger ones that often had hurt or disappointment attached to them. I love the part about the children being seen, not heard, and left to run wild. That definitely sums up my childhood. Lovely poem. Thanks Kenneth - it was fairly indicative of my time and childhood and something that has been gradually lost over the last few generations of over indulged parenting.